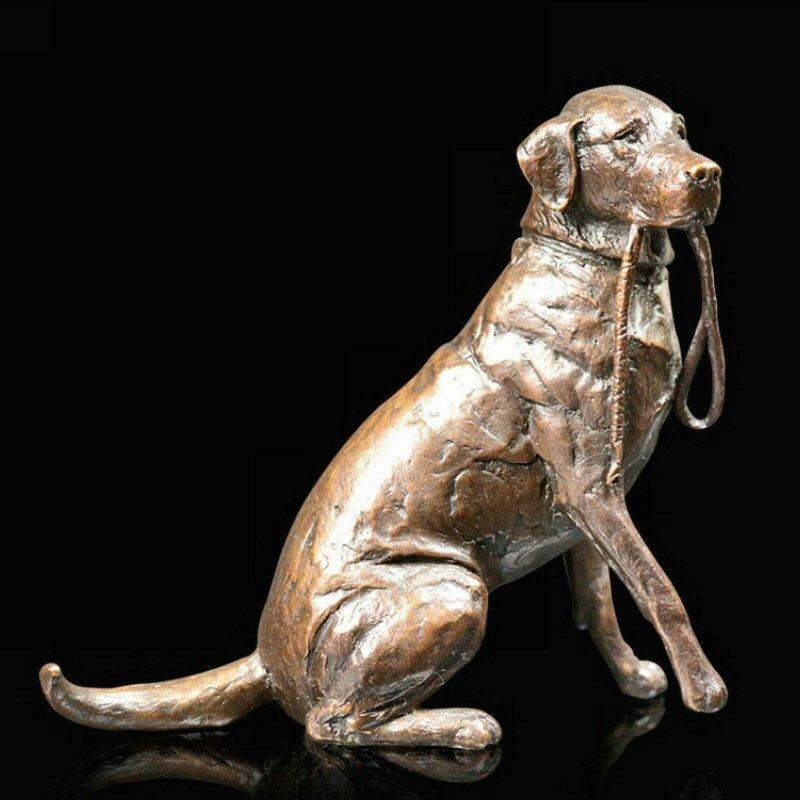 Bronze sculpture of a Labrador with its lead, waiting patiently for its walk by acclaimed animal sculptor Michael Simpson. One of our most popular dogs the Labrador Retriever was originally bred as a working dog. They particularly make fine gun dogs but most are now kept as friendly, loyal and dependable family companions. This finely detailed, limited edition sculpture in solid bronze would compliment any collection of dog bronzes or alternatively would be the perfect gift for any admirer of these lovable dogs.